Online payments have penetrated every sphere of our lives. We buy e-tickets and pay utility bills, shop online for clothes, household goods, electronics and the like, and order food from restaurants. However, cybercriminals actively use online payments to their own advantage; they have invented lots of crafty methods to steal your personal data and, subsequently, your money. For example, they use malicious software that can secretly capture screen images with your credentials and send them to malefactors. There are also some additional settings you may want to use. 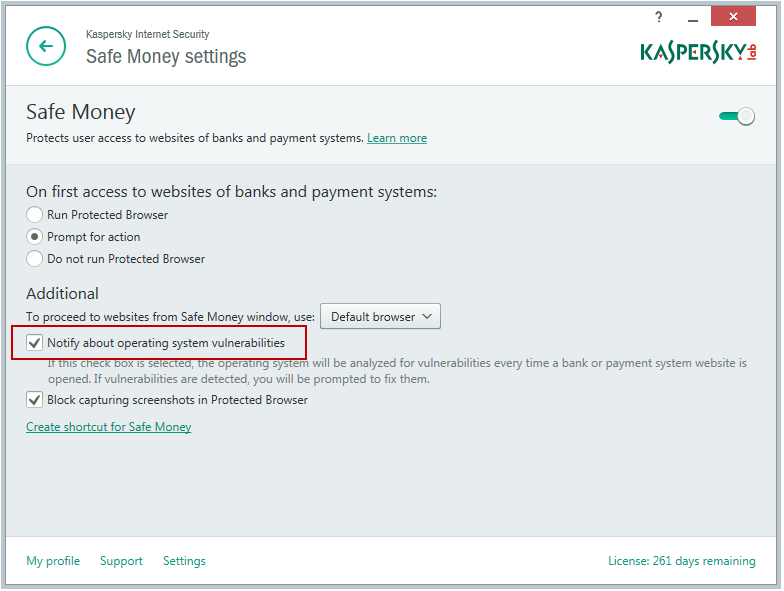 You can learn them in our article on how to set up Safe Money.